Happy Birthday to my dear hubby.. He makes everyday fantastic.. 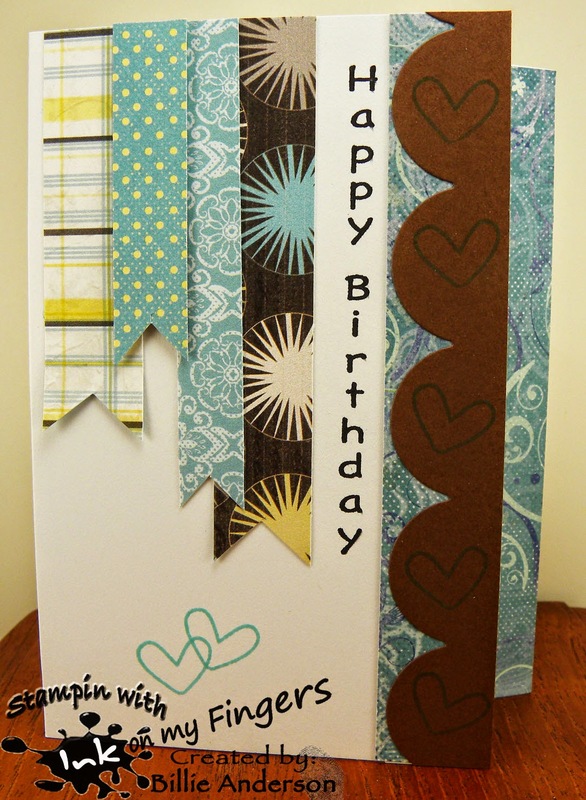 This is another card with scraps. I did add some washi tape from Stampin up but the rest is all scraps from quick quote. I folded the front back one inch and added the polka dot paper to the inside so when the card is closed the polka dot is against the teal washi tape. Great look and contrast. I added su brads and the sentiment is from Simon says. I just had to choose this darling little image called Miss Lilly on the bike she is so cute plus I wanted to use this bike die by PTI. I have used is in the past.. way in the past and I was just itching to use it again. I think after I got the card made and took photos I should of used a different color on the bike.. But I really at the time liked the stripe multi colors. 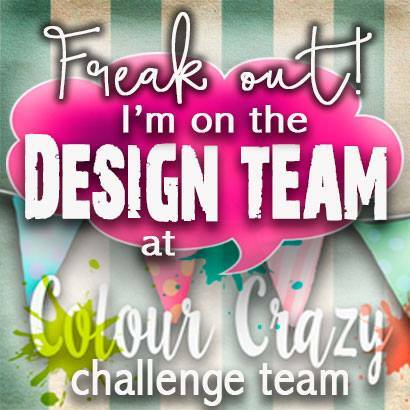 We are on Week 9 of our challenge between Monika at Creative with Monika and me to create a background and or no designer paper challenge. This will be our last challenge between me and Monika till after the summer time. It's just a busy time between us and will give us time to recharge. 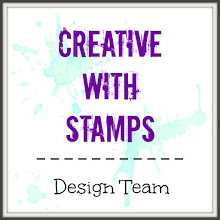 BUT ,,, I will keep posting new cards using my scraps or seldom used stamps and put them on days that I don't have a card to post from a design team. We were both inspired by Jennifer McGuire and her off set stencil projects. 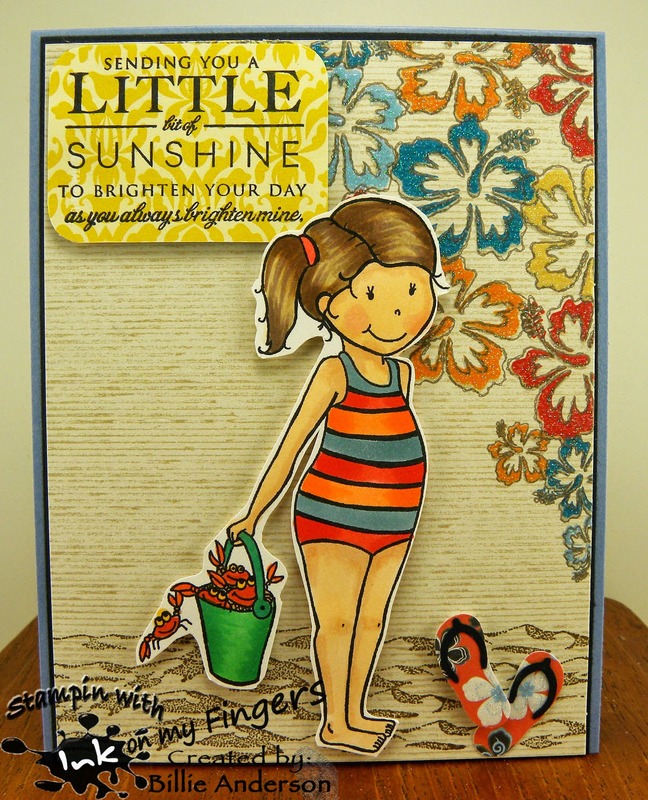 You can see all of her great creations on Jennifer McGuire Ink I love her ideas and she really inspires me. This is my card.. I have very few stencils and I really didn't want to buy any at this time.. BUT I do have some die plates so I took my old standby X-ray film and cut out my own stencil using a PTI die plate. Then I did like Jennifer McGuire .. I took pink card stock and laid the stencil over it and using white embossing ink and a sponge finger dauber I filled in all the open areas. I did let it set for a couple of days to dry because I was doing other projects.. Then I came back and laid the stencil back over the card stock but off set it just a smidge and then took marvelous magenta by stampin up and went over those same open areas again on the stencil and this is what I got.. COOL HUH??? I LOVE IT. I then let it dry for a few more days and finished it yesterday.. I took white card base, layered black and then the technique piece. I love black and pinks.. I stamped the sentiment by PTI and added some black behind it and some black enamel dots and called it done. I did try the floss behind the sentiment but really did not like it on this one.. maybe next time, but for now I thought it was cool just the way it was. I will for sure do this again. 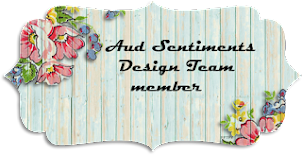 I hope you head over to Monika's blog at Creative with Monika and see her creation and give her some love. 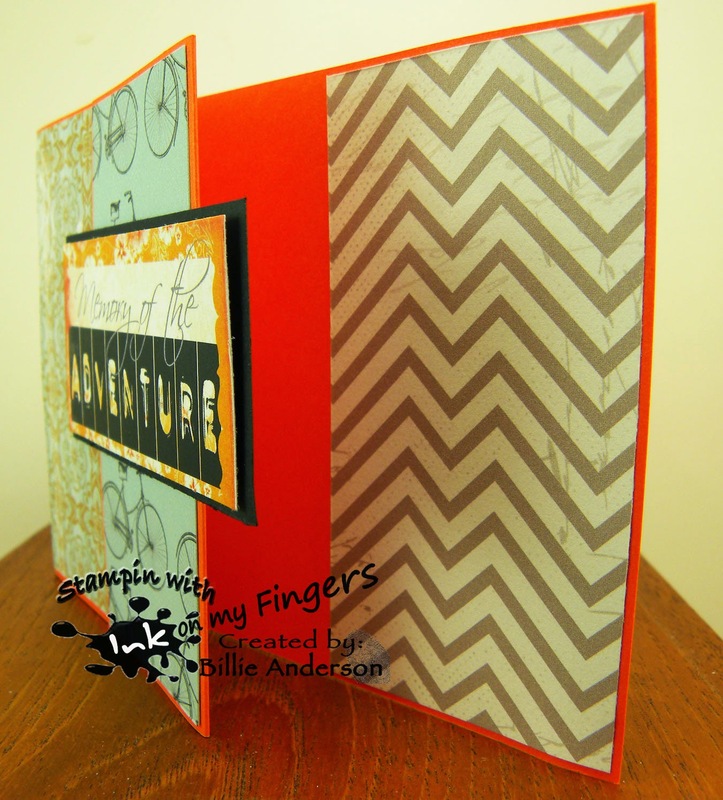 Here we go with another fun scrap made card. 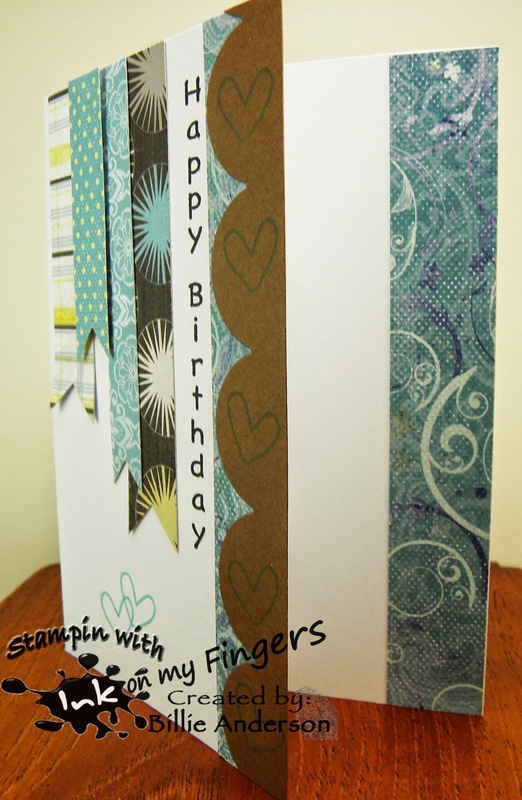 I used scraps, some are from Quick Quote and sentiment Happy birthday ?? I don't know but love that it's vertical .. I used some Simon Says hearts on the PTI die and then added a couple of the hearts in the white space. I folded the front back one inch and then added a strip of QQ scrap to the inside of the card. So when the card is closed the blue strip is on the right of the brown. I like the banner strips. follow the photo below and make a card.. I chose to use the colors.. you may want to choose an image.. It's which ever way you want. I really tried to pick up all the colors in this card. I love the blues/violets/golds and orange. 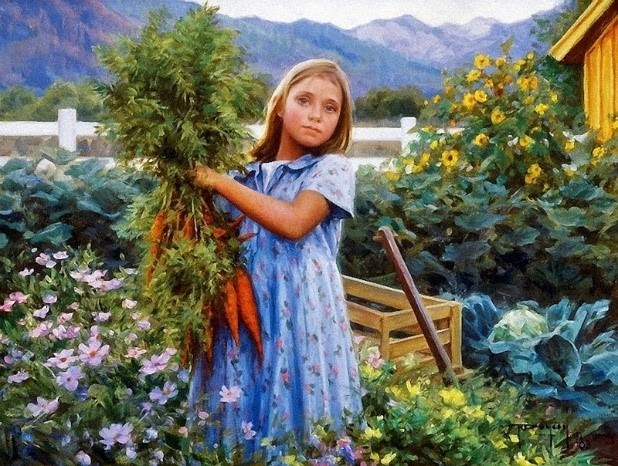 It is such a cute image. I thought the sentiment went well with the image as the little critters are peeking. 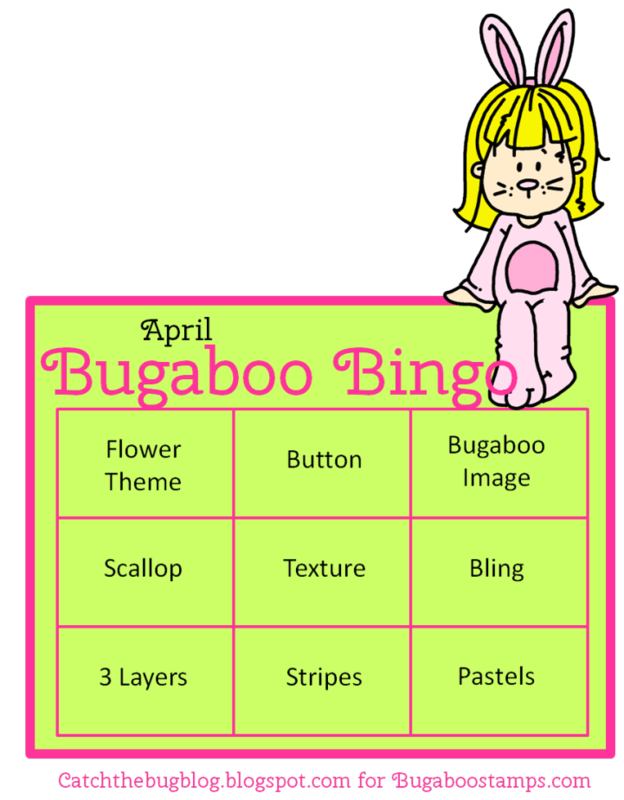 I sure hope you find time to play along at Catch the bug. I love commenting and seeing your works. 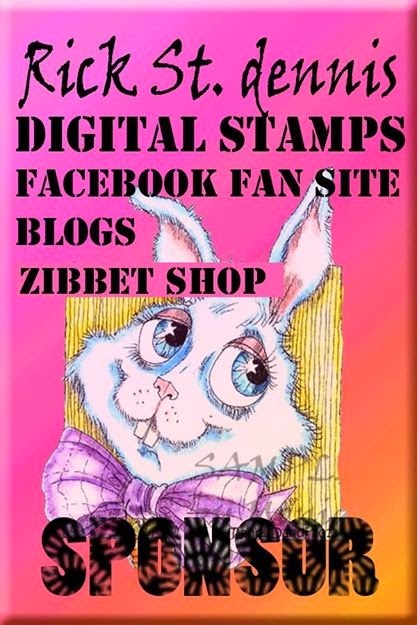 As I mentioned Tuesday I am using scraps and making cards... Well I guess I should of added I am also going to use stamps that I have not used or used only a couple of times.. Not counting sentiments because I used them all the time. This card is all stampin up.. well Washi tape and flower/leaves.. The sentiment is Simon says, the pearls are ??? ones I just have laying around. I used Paper trey ink. Love the look and fresh colors. 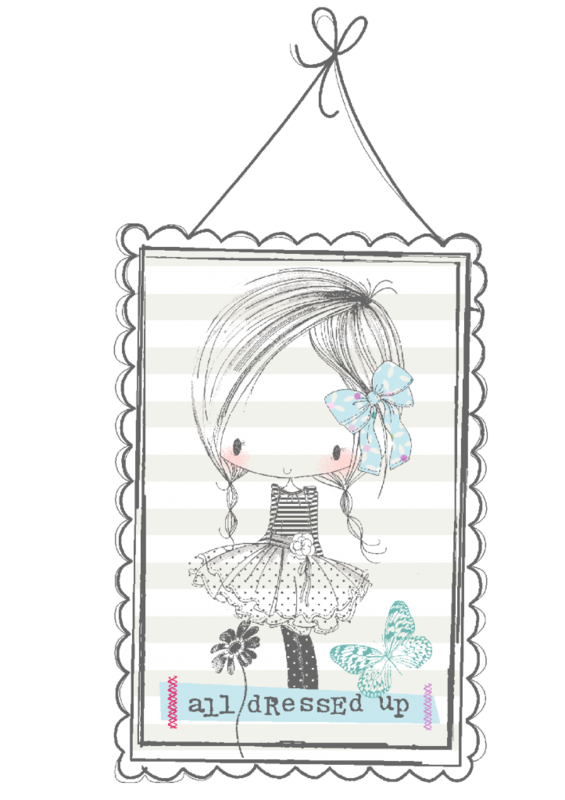 I am using the image called Hope She was fun to color and she is so cute. I like the twigs coming out of her hair. I like that the bird was in the image since the challenge is things with wings. I hope you play along and make sure your card has Wings and Sentiment. I chose to use Gigi for my card. I made the background first. 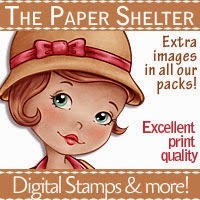 Water color paper and an overall stamp from SU -cross hatch and clear embossed the image. Then I started adding H2O paints till I got the effect I wanted. Let it dry while I colored up the image. 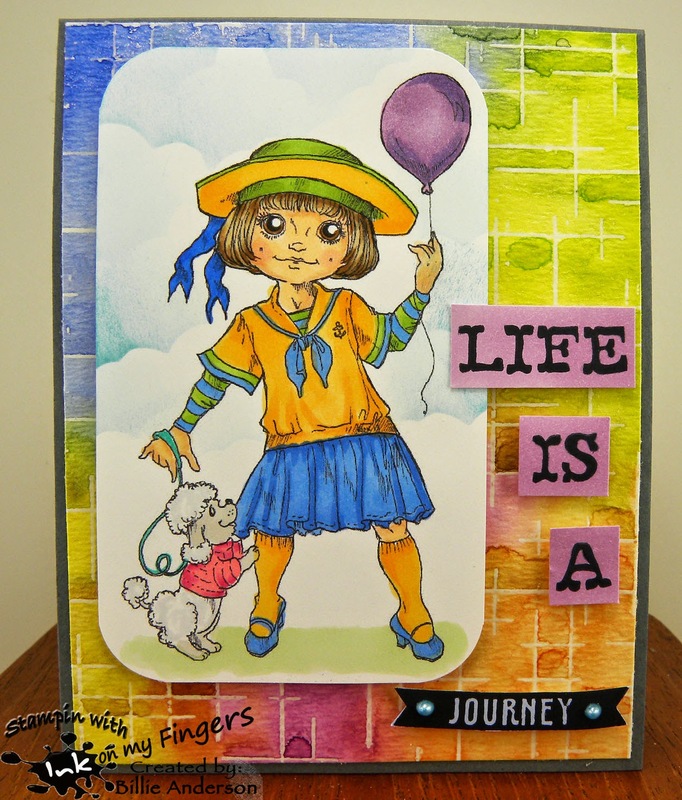 I know she is in a sailor outfit but I wanted to pull the colors from the background and make it a nice colorful card. 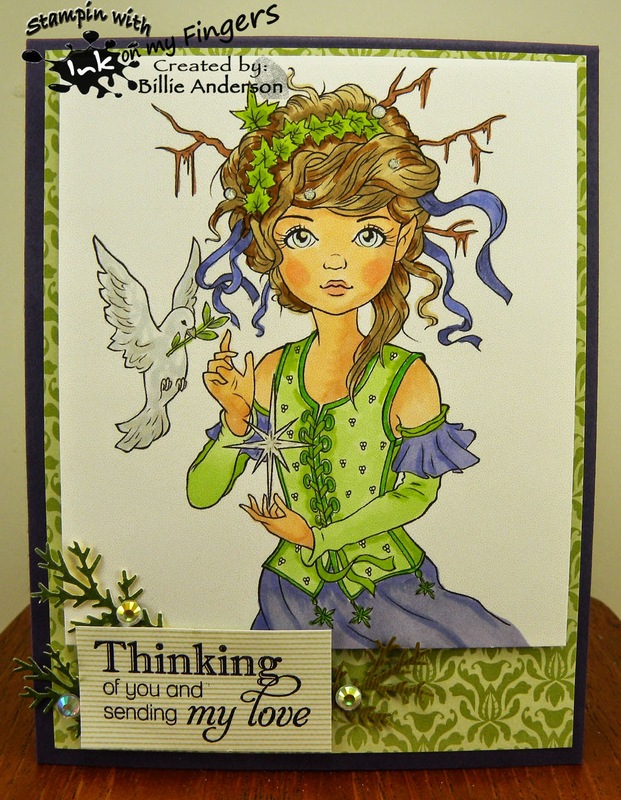 I did not have paper the color I wanted for the sentiment so used copics and colored the white paper then stamped the sentiment from Simon Says. I rounded the corner of the image and some viva pearls to the journey sentiment. I hope you head over to Inspiration Destination and play along. 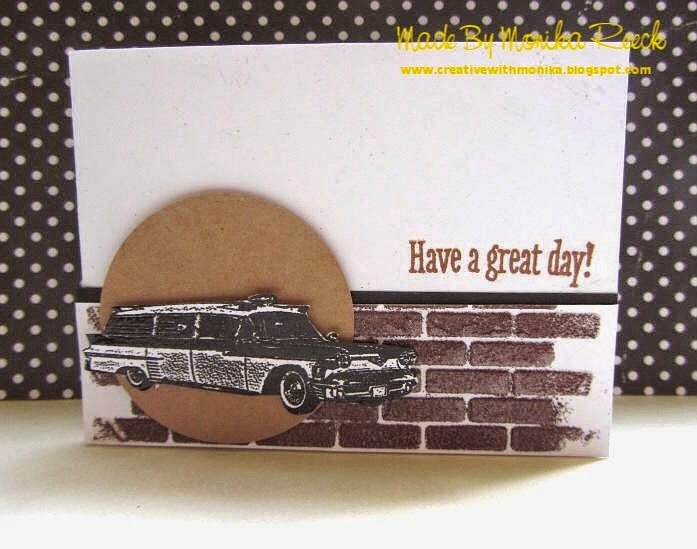 I thought I would take some of my scraps and start making cards on days I don't have a card to post.. I know that is seldom that I have a free day.. I seem to always have cards to post and love it.. But there are so many scraps and the pile is getting so high that I have and figured this would be a good time to use up those scraps and or add some new designer papers I bought /or given.. This is the first card I made using all scraps. I have a big stack of left over Quick quote scraps. I test kits from Quick quote before they go out public.. check them out, they are in stores all over and also have a great site. Fun papers and inks. Any ways this is the card I made using all DP from QQ. 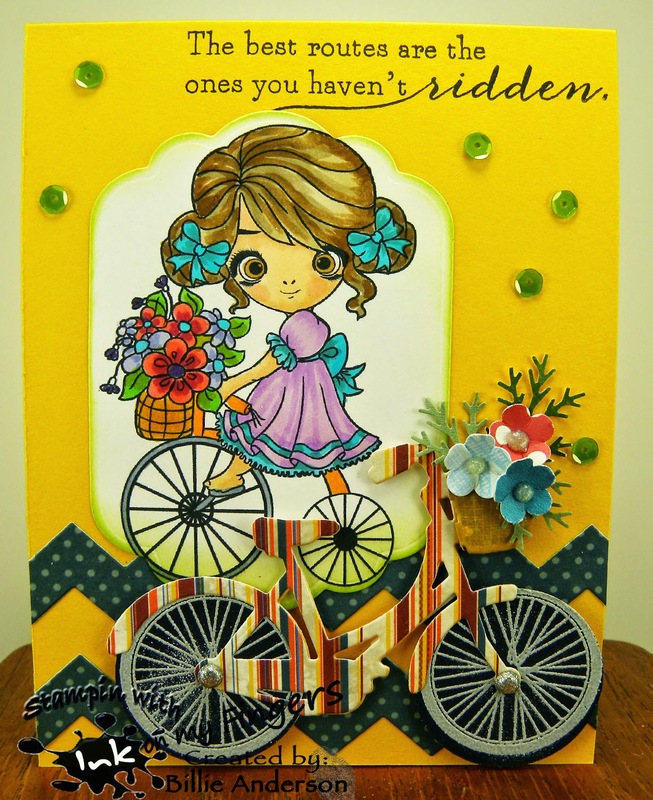 I thought with the bikes that it could be a card for someone going on an adventure - be it vacation, new job, retirement.. I made the card A2 and folded the front back 2 inches and then added a piece of scrap inside. See photo below. 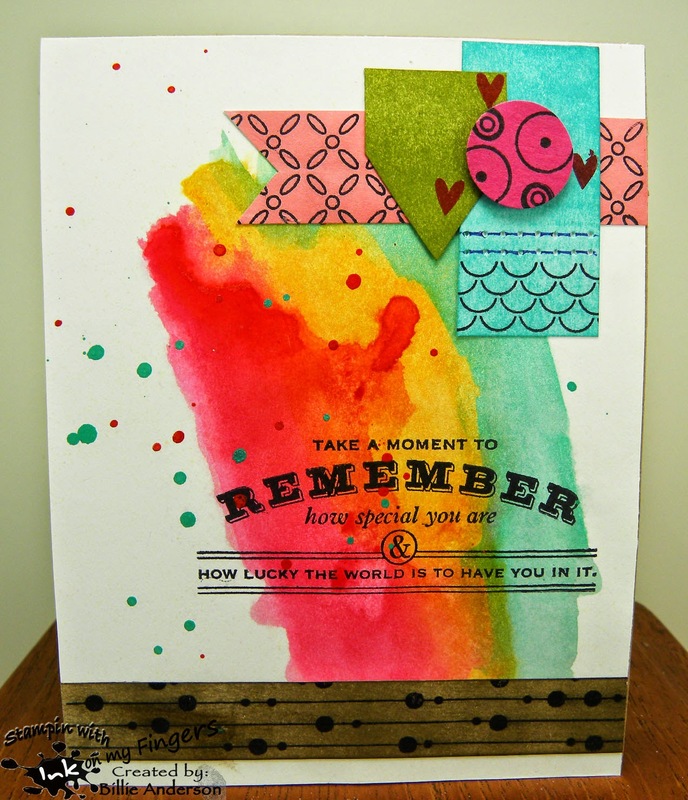 recipe: michaels recollection base, quick quote scraps. 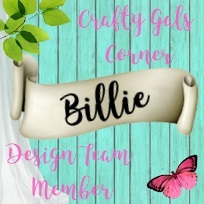 Well we are on Week 8 of the Billie and Monika background and or no designer paper challenge between ourselves. 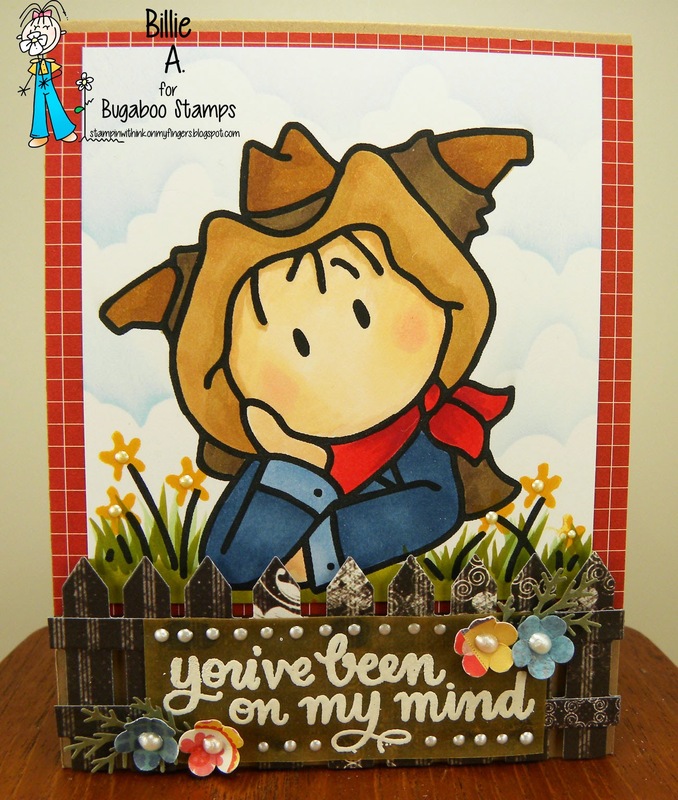 Monika from Creative with Monika and I are doing a different background and or no designer each Monday and without die cuts. 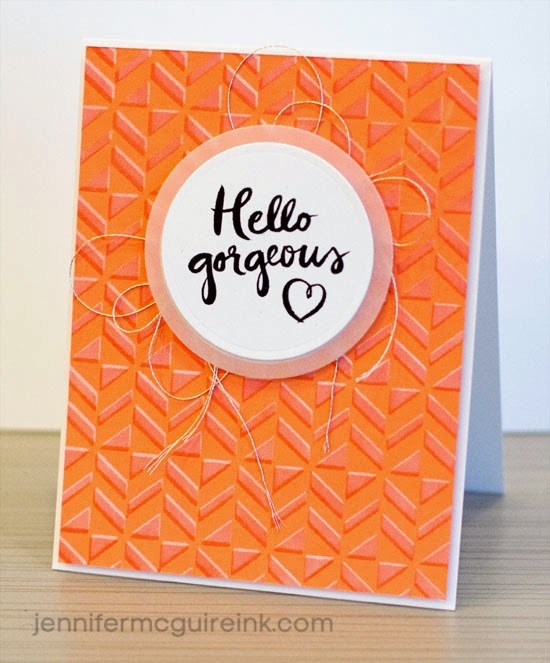 This week it was my choice and I saw this awesome card by Julie Campbell awhile back and drooled.. I loved it and said ok this will be our next challenge for us to try. You can see Julie's card at the link above. Thanks Julie Campbell for the inspiration. This is my card. I used Kuretake paints and just added colors till I got the effect I wanted. I wanted mine to be a little darker.. ok a lot darker.. I then added some splatters. I then took out my Paper trey ink retro vol. 3 that I used last week for the diamonds and used some of the other borders in the set to get the design on all of the papers. 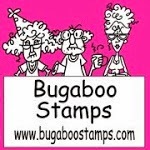 I used ranger inks to cover white paper and then black ink to stamp the designs. I cut the green, but I did punch the circle.. I tried to cut one but it was not going to be round no matter what I tried. I used the Paper trey ink sentiment Harvest berries. The little hearts are from Simon Says stamp set. The stitching is faux.. I took my hole punch and just pierced the paper and then took a blue pen and ran it from hole to hole to give a thread stitch look. 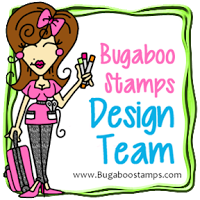 I am very pleased with the way it came out and I really am excited to be using stamps and making my own designer papers and backgrounds. 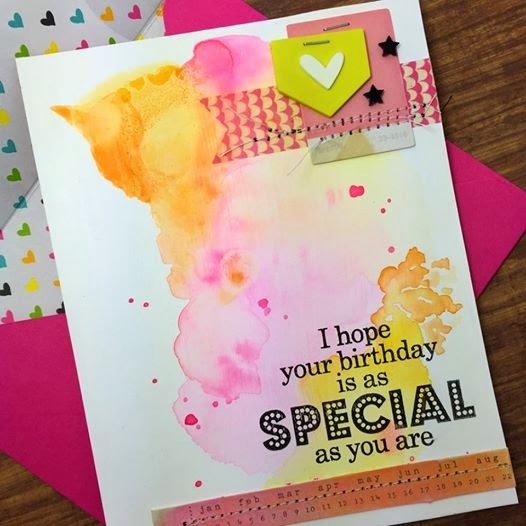 I hope you head over to Monika's blog and see her card and leave her some love. This image is called You move me - ewe move me Funny huh.. 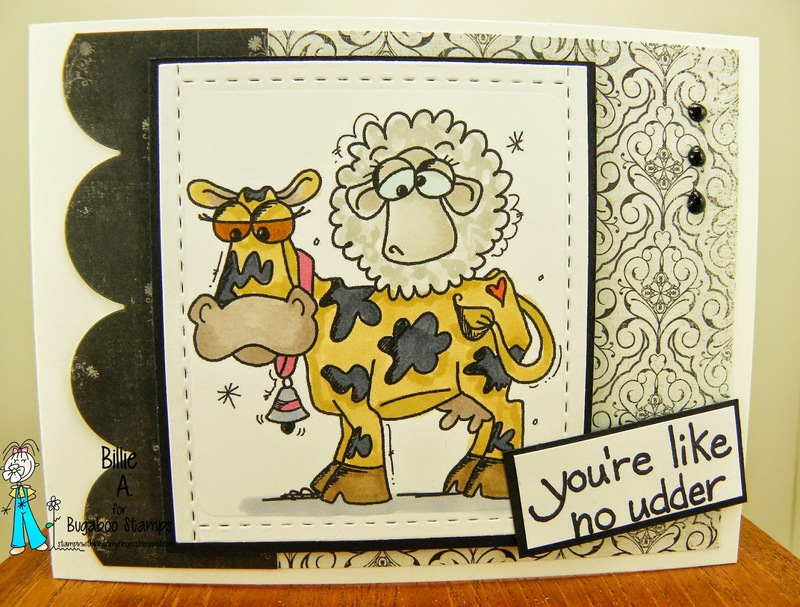 I think the ewe looks so funny and the cow is like WTH.. obviously the ewe is saying the sentiment. It was a laughter moment for me.. I hope you play along and have as much fun with the sketch as I did. I cut her out and then die cut a scallop piece for her to sit on. I had a scrap of water color paper that kind a had the colors I was using so I added it along the edge of the scallop so it looked more like a ledge for her. The background I did on a piece of chip board. I spritzed it with different colors of dylusinons sprays. It came out really cool looking. I added some added flowers from a su punch and added some bling to the center. There's some glitter on her wings. I hope you play along at Catch the bug.. 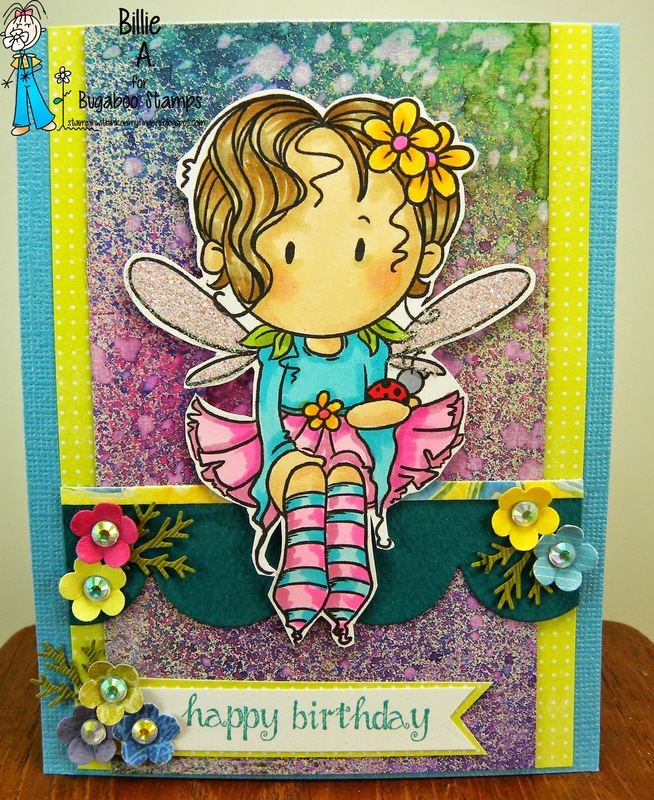 This is my card using Summer Butterfly Bear.. I think it's a girl bear.. I had a left over attempt at Bokeh technique. A few weeks back Monika and I did the Bokeh technique and I made about 3 attempts before I found one I liked. This one was just too washed out but of course I cant throw away because some day I would fine a card to make and use it.. WELL TODAY IS THE DAY.. I thought it kind a gave a weather look to the background so just added the sentiment and image a few hearts colored with copics and wink of stella. Loving the look. This is a first for me using a design by Fresh Brewed and I chose to use GRACE BEACH FUN She is having some fun on the beach. Wish I was there. I wanted to make a beach scene so found this designer paper from DCWV and I have a stamp that will stamp sand if you turn it one way and if you turned it around you get water.. I chose to use sand because she just came back from the water catching all of those crabs.. and getting her flip flops.. oh how times have changed.. growing up in my days they were thongs.. Not now days. I like the hibiscus flowers in the corner. Gives a nice tropical feel. 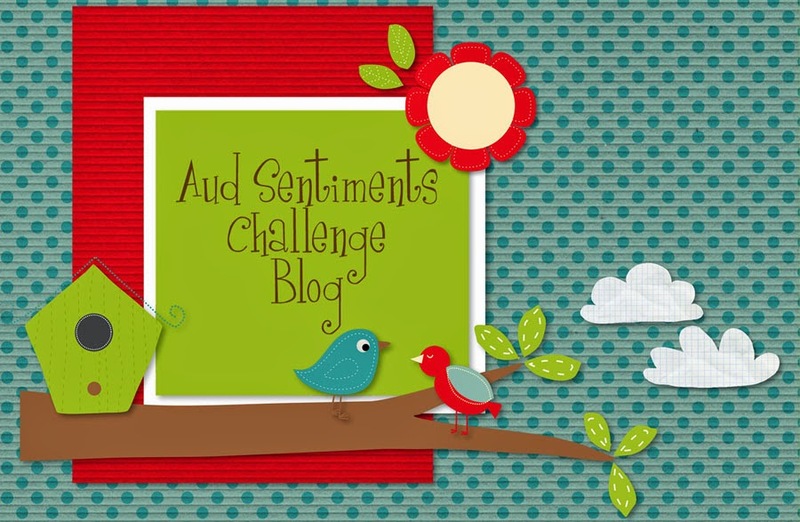 I hope you head over to enter into our ATG challenge at Inspiration Destination. I think this image is too funny. I found the sentiment from Simon says and think it went perfect with the images. The different snails faced different directions.. The image is Scene it snail.. I once again made my own background design. 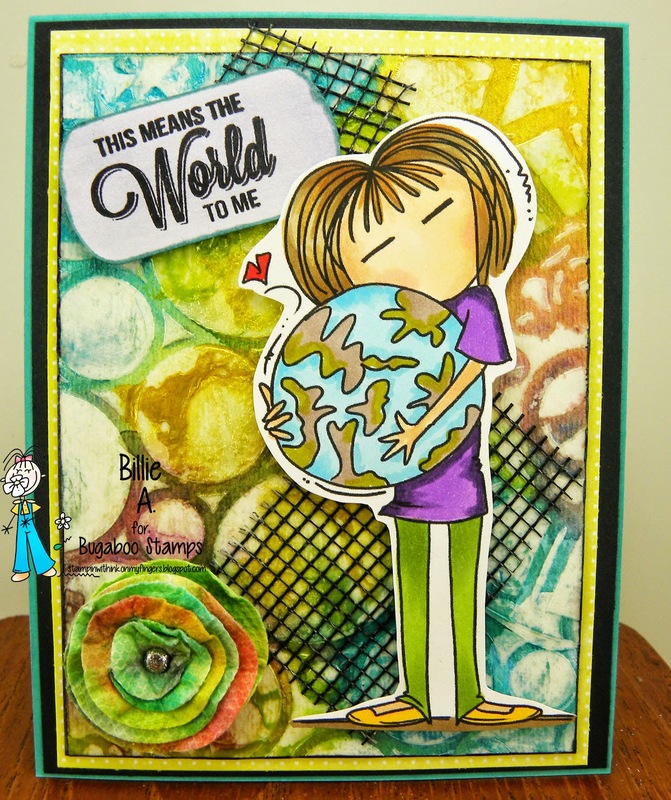 I took water color paper, a marble all over background stamp and embossed it in white. Then I took a few Glimmer mist bottles and sprayed them to get the effect that I wanted to kind a give a natural look. Dried it and I think it came out great. It was sad to have so much of it behind the stamped image but there was no way I could cut out the image and make it work. It's really pretty in real life.. I colored the images with copics. 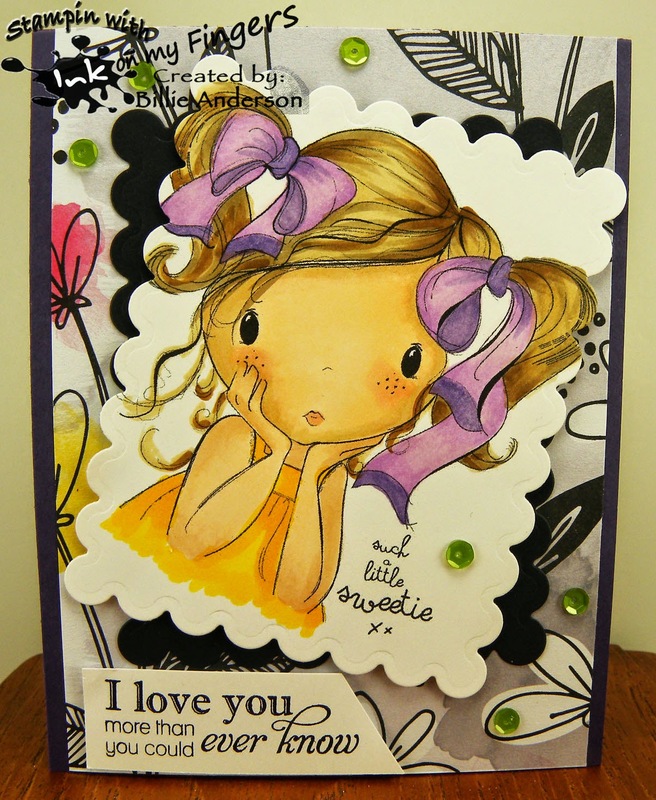 This is my design using the Ringlet Kidz Topper new image. I used paper I got in my Simon says kit with the dots already embossed on it. I love the softness it gave. I used my MFTcircle dies and cut out the purple and the plaid circle frame and fussy cut out the image. 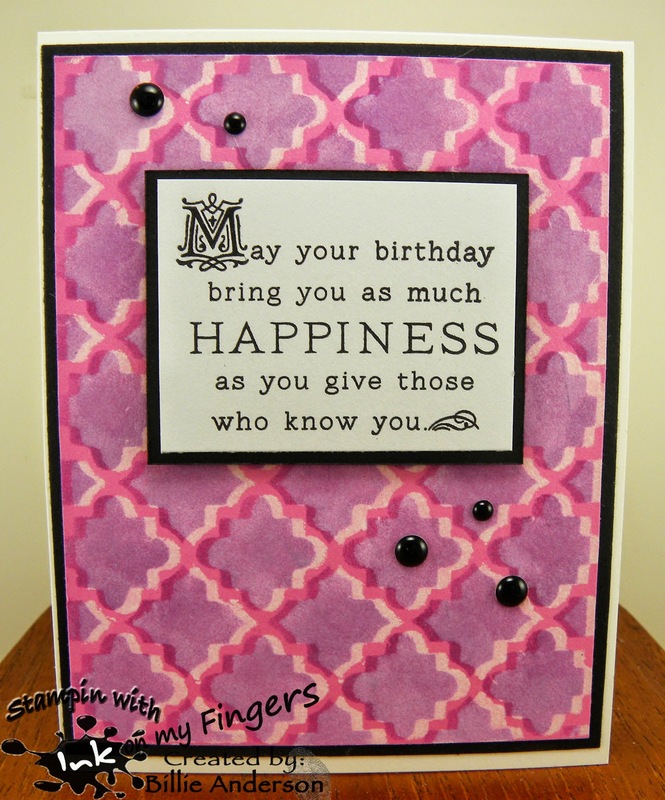 I added the sentiment on a Stampin up scallop die. The binding ribbon I added and the little piece of charm. Rounded the corners a little to go with the roundness of the cards design. It's week 7 for the Monika and Billie background and or no designer paper challenge between ourselves. I do not have a diamond overall background stamp - BUT I do have the Paper Trey Ink retro volume 3 backgrounds.. it has a few different styles and they are all just a couple of rows /repeat stamp so I took diamond and I just repeated the stamp till my white paper was covered then cut it down to size. I like the look. I used Stampin Up not quite navy ink. 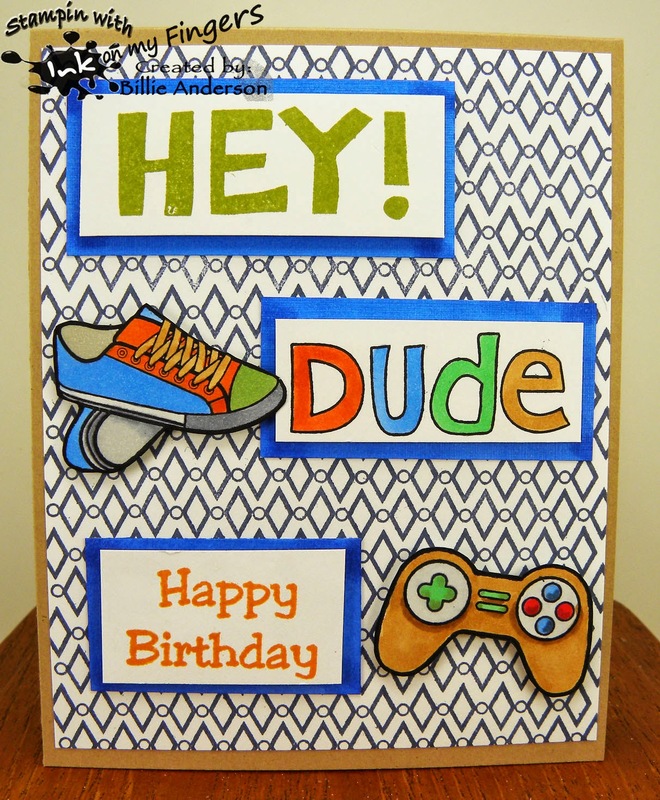 Then I took the Simon Says all boy stamps and colored the dude, shoes, game controls and cut them out. I wanted a bright blue behind the sentiments so I took a bright blue copic pen and cut a piece of white paper just a little larger then the sentiment and used the bright blue to color the paper, I think it pops the sentiments. The happy birthday I don't know who puts it out. I loved coloring the tennis shoes. The game controls also but the shoes were my favorite. All are on pop dots. I think I did a good job with Monika's choice for us this 7th week. I hope you make it over to Creative with Monika and see her card and give her some love. recipe: pti diamonds, ss hey dude, shoes, game control, hb?, old olive su, not quite navy su, orange su, copics, kraft base - kraft journal store. It's late in the day Sunday but I wanted to join in on the Case-ing Monika's card of choice in celebration of her Birthday..
this is the card I chose to CASE... Kind a .. You know me I have a little different twist. This is Monika's card below. This is my card.. I used water color paper below and embossed it. I whipped versa mark over the inside of the embossing folder and then ran it through my vagabond.. then poured clear embossing powder over it.. I then started with H2O paints... WELL the versa mark filled the whole card.. so the H2O's would not color it because it was ALL embossed.. So there is a backside to the of the water color paper and so then I used the H2O's and colored the piece. Then cut it down and adhered to the white cardstock. I cut a small strip of black paper and added above the water color paper. Found a nice green piece of scrap and cut a circle. 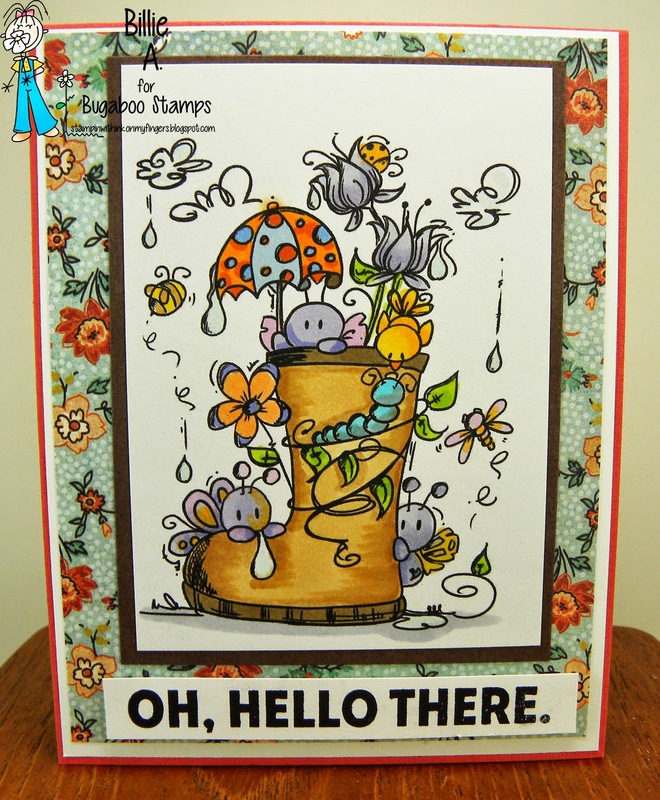 I took the Stampin up flower bloom and ranger inks and stamped the flowers and leaves and then used the matching die to cut it out. I layered the pieces and added to the circle. Added a few sequins and the sentiment. It's not manly but it is close to Monika's card. 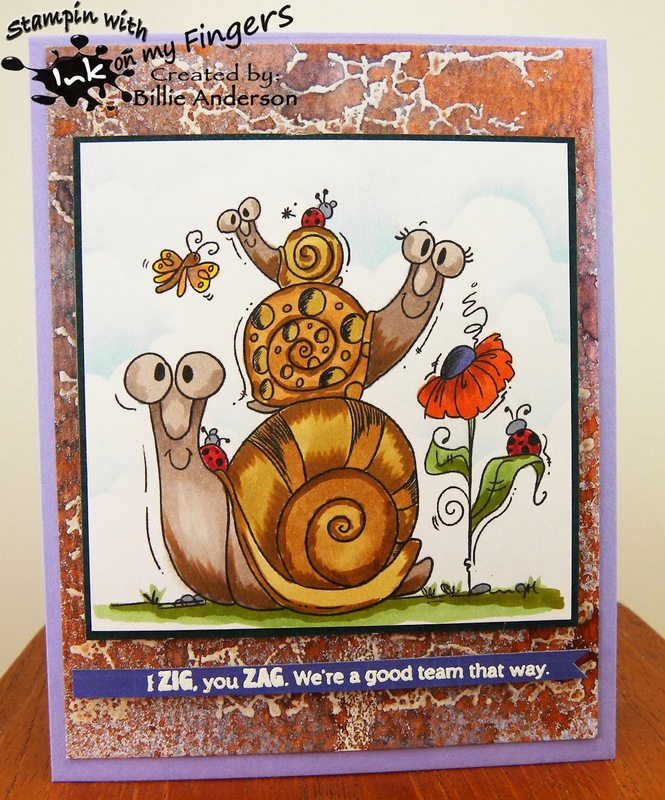 Catch the bug challenge this week is for Earth day - use something recycled on your card. This is my card and of course had to use the World Girl image.. My recycle is the flower at the bottom. It's out of the paper towel cloth that I used to wipe up the inks for this card and other paint/inks from other projects. They are too pretty to throw away and this was perfect for the card. I also used simon says stencils and texture paste for the background then added some H2O paints once it was dry. Then I layered the card on SU base and added some SU black and scrap of yellow. I had some black mesh so added it behind the image and sentiment. The sentiment is from Tech. Tues. I hope you find something to recycle and join the challenge at Catch the bug. This is the cute image and I thought he looked like he was deep in thought so used the sentiment from Simon says. I added some flowers to the dark stems that were drawn by Jodie. Thought they looked like flower stems. I added the fence which is from PTI and added flowers to the fence.